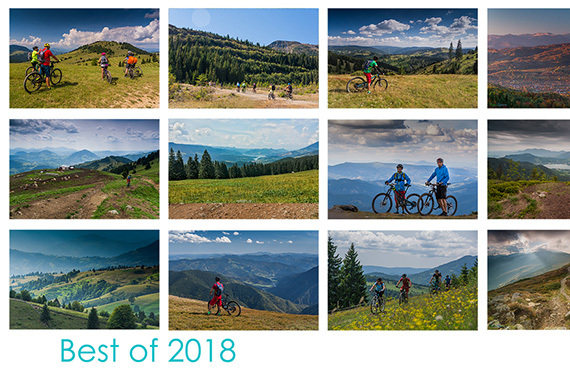 Enjoy our mountain biking tour in Eastern Europe,riding remote areas in the Carpathians. 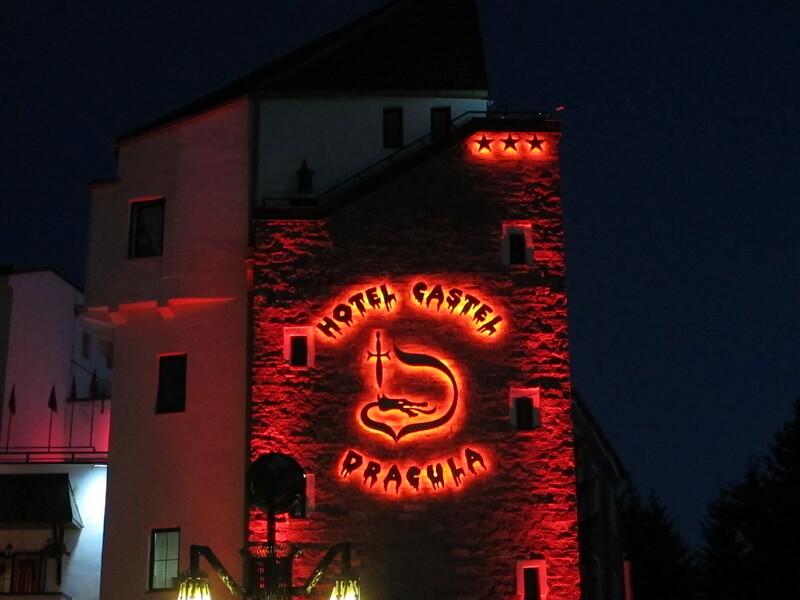 8 days with everything included, in a magical place in the north of Transylvania. 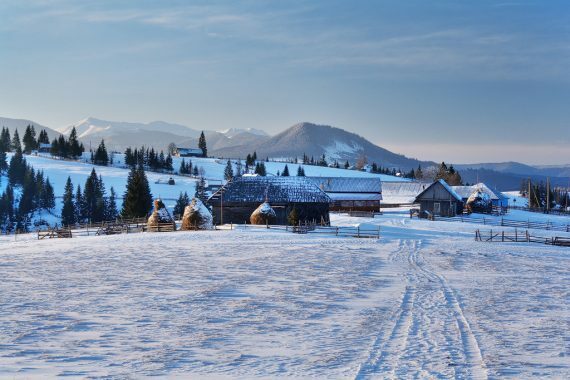 This area of the Carpathians, located at the connection of three historic regions of Romania – Transylvania, Bucovina and Maramures, is one of the last places in Europe where you can still find lost in time villages, with ancient traditions and wild nature that retains its original beauty. 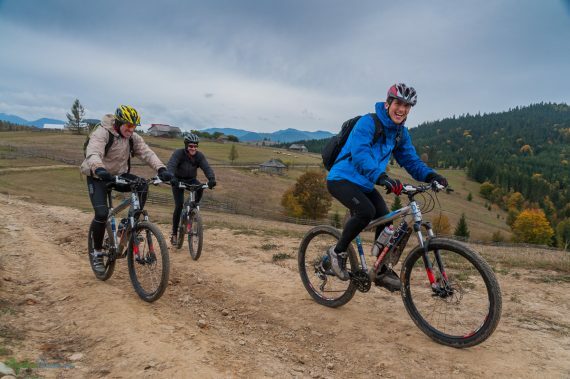 This mountain bike ride is based on our well-known “MOUNTAIN BIKE TOUR IN THE NORTH OF TRANSYLVANIA” with an extra day in which we will leave the bikes and having a riding break, and do a tour around the Bucovina region, visiting a Unesco World Heritage site – the Voronet monastery. 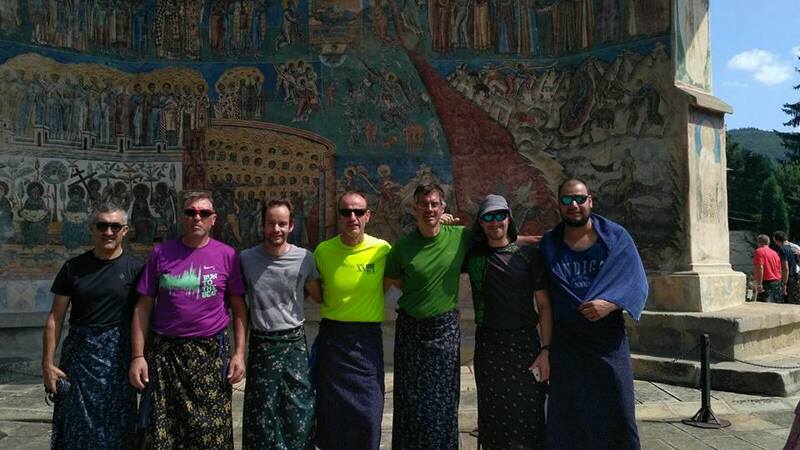 Also in the last three days we will take part at one of our Bike Camps in which we will include riding skills workshops..
You will also have the chance to No doubt an opportunity to deepen the cultural exchange by sharing a few days with cyclists in the country, as these Bike Camps are organized for local cyclists. We will pick you up at the international airport of Cluj and we will transfer to the first accommodation. After crossing part of Transilvania by van, we will enter the Carpathian mountain range, to reach the Colibita resort. 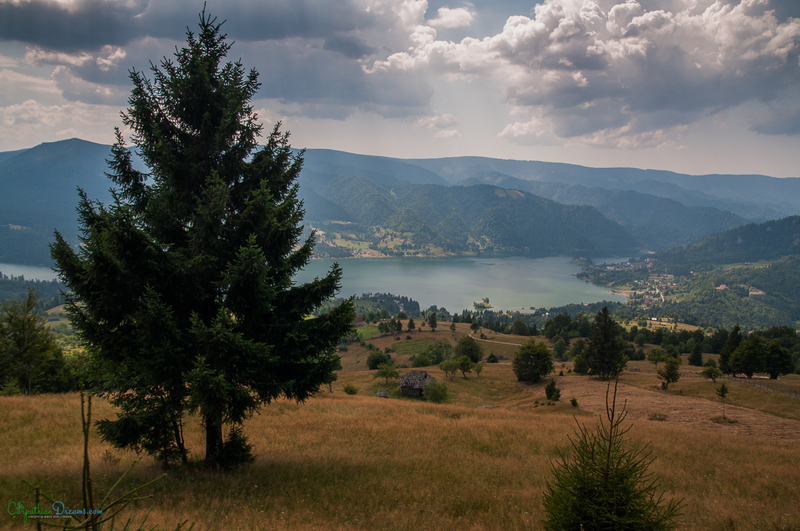 Located at the foothill of the Calimani National Park, the Colibita lake area is an idyllic place where we will spend the first two nights. The first day by bike will take us on a tour around the lake, close to the Calimani Mountains National Park. At the end of the day we can take a refreshing swim in the lake. 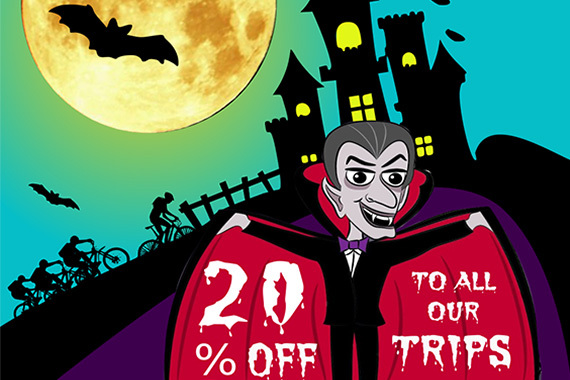 Today we will ride along the trail that takes us to the Count Dracula hotel where we will spend the night. The Hotel, located at an altitude of 1200 meters, is the Borgo Pass, a well-known mountain pass with a lot of history, as it is one of the main routes that cross this area of Eastern Europe, where East and West meet. During our stay we can visit the monastery that has a viewpoint with one of the most spectacular views of the Carpathians. After two days by bike we will take an active rest. We will have a bus ride throughout the Carpathians, enjoying picturesque landscapes and making stops to enjoy the views and to take pictures. In about a couple of hours hours we will arrive in the beautiful Bucovina region, where after visiting a picturesque market, we will head towards the Voronet monastery, part of the UNESCO world heritage, and famous for its unique blue frescoes. We will also have a gastronomical delight. 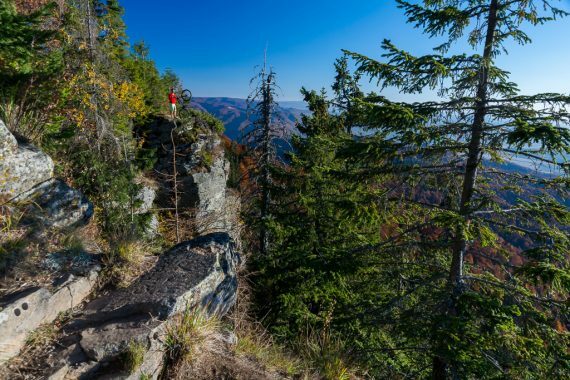 After lunch we will continue circular route back, making a loop to visit an area called Pietrele Doamnei ( The Stones of the Lady) where we can do a little trekking to stretch our legs. Finally we will arrive at the cozy accommodation where the Bike Camp will take place and where a reception dinner with traditional food awaits us. 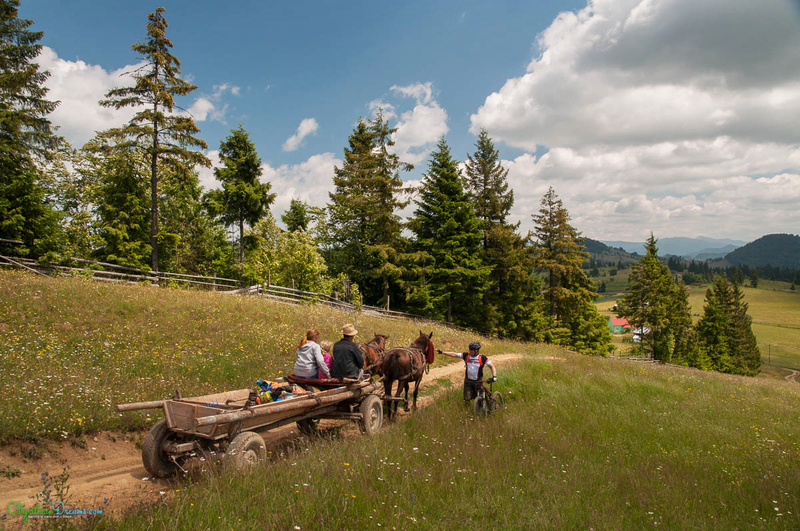 Located at the foothills of the RODNEI Mountains National Park, Lunca Ilvei is a cozy and picturesque village located in the middle of the Carpathians, where we can experience the true life of a remote village, specific for rural Romania. In these three days that we have left we will share the trip with local riders who participate in one of our Bike Camps. 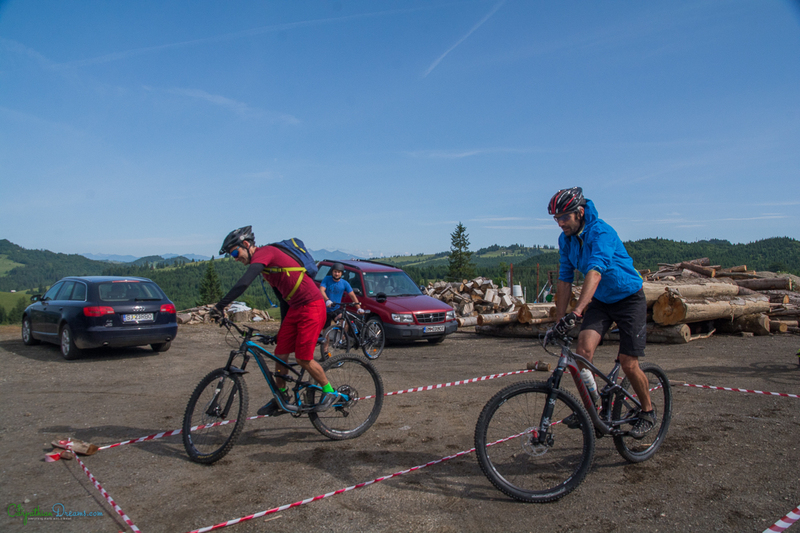 PRICE mountain bike tour in the carpatos: 1100 € All inclusive except meals in Cluj and food excursion. Attendees must certify that they are in possession of insurance that covers risk activities. In case of not having the same, we can recommend one. Physical level: medium. 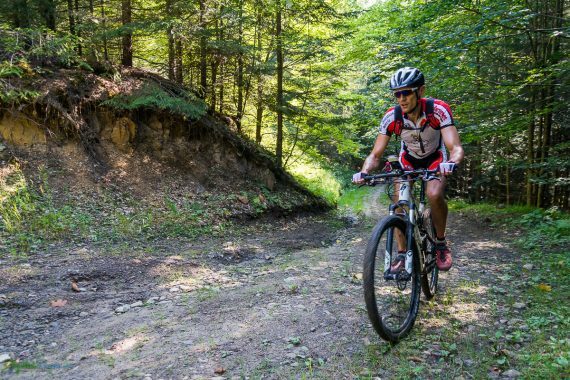 A state of form is required that allows to ride routes of average level during several days, there will be demanding climbs and sections of steep slopes. The daily climbings have an average of +1200m. A valid passport or ID is required for the entire duration of the trip. We also recommend that you bring a photocopy of your passport or ID (both sides) stored in a different place or have a copy in the cloud.. But this fragile paradise is facing extinction due to globalization, Eu regulation (Romania entered European Union in 2007) and young people migration to urban areas and to foreign countries in search for a place to work.